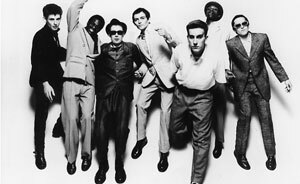 We promised we would let you know when the reformed Specials announced their homecoming gig in Coventry. Well now we can do just that. Today the band released details of the show, to take place at the city’s Ricoh Arena on Friday May 15th. It will be the final date of their UK tour. Tickets for the show go on sale tomorrow morning (December 17th) at 9am, from (amongst other places) here. Tickets for the remaining dates on the tour have all sold out.